‘Ilaya Thalapathi’ is now ‘Thalapathi’. True to the title, Vijay’s Mersal is doing incredible business all around the world, breaking Box Office records one by one. Mersal has Vijay in three mass roles.MGR kinda revenge-action-drama mixed with social message directed by Atlee is breaking box office records everywhere. Till now box office records are mentioned with a tagline ‘Non-Rajini record’ but this time, for the first time in over 20 years, we are seeing another actor’s film breaking records created by the SUPER STAR Rajinikanth. It all started with its Overseas shows. Mersal Grossed $2.5 Million [16.27 Cr] including USA Premiers on Tuesday. This is the 2nd best after Rajinikanth’s Kabali. Mersal collected a whooping 6.11 Cr on the first day in Kerala box office. His previous best was Theri with 3.16 Cr. 6.11 Cr on day one is the second highest ever for any language movie in Kerala over taking Rajinikanth’s Kabali, Mohanlal’s Pulimurugan and Mammootty’s The Great Father. Note: Ajith Kumar’s, considered as his competitor, last release Vivegam collected a mere 5.4 Cr from its total run in Kerala. UK – Rs. 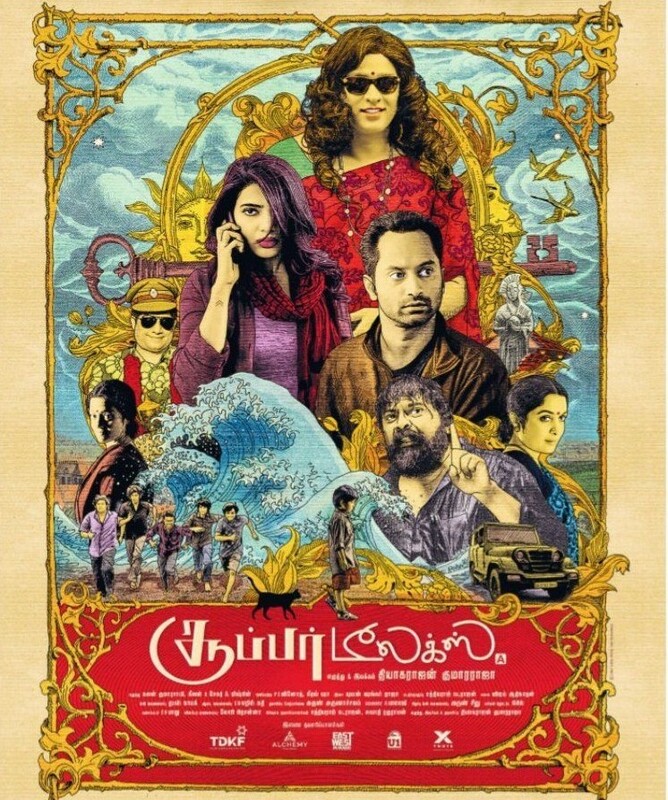 72, 66, 662 – This is all time number one for a Tamil film. 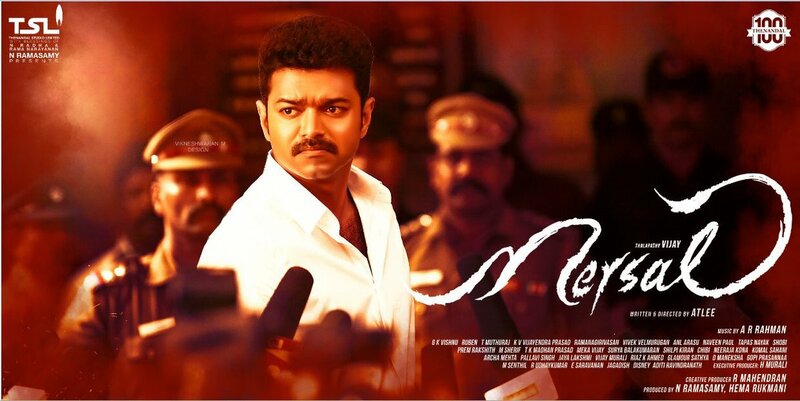 Mersal (£94,311) broke the record of Rajinikanth’s Kabali (£93,835). USA (2 Days) – Rs. 3, 53, 11, 290. This is the second best after Rajinikanth’s Kabali. Mersal total so far $543K crossed Vivegam (522K) full run gross in 2 days. Mersal also registered the biggest ever opening for an Indian film Singapore, Sri Lanka and Malaysia. TOTAL WORLD WIDE: Rs. 50 Cr.